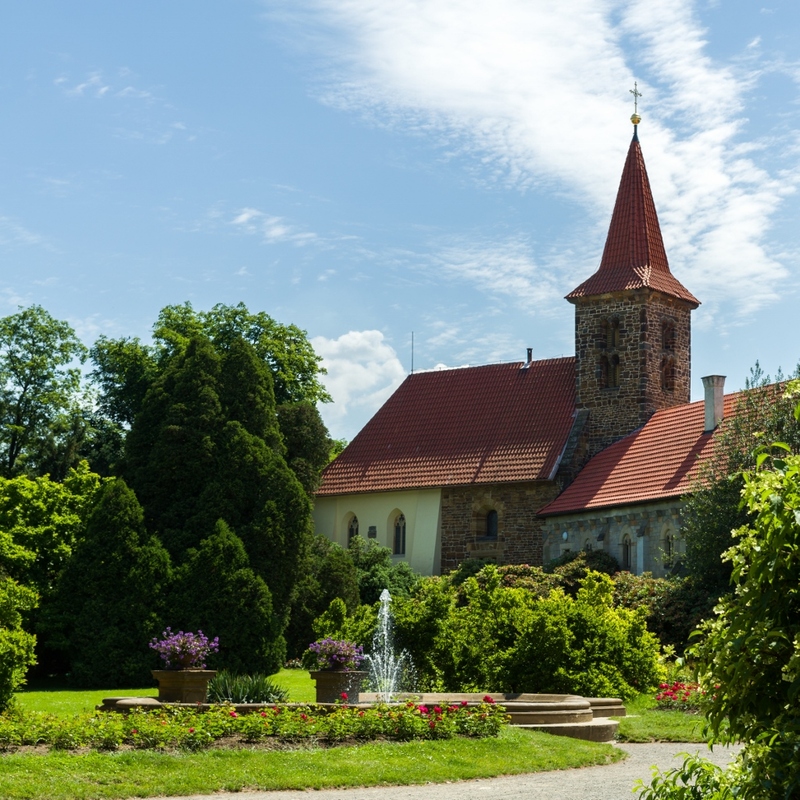 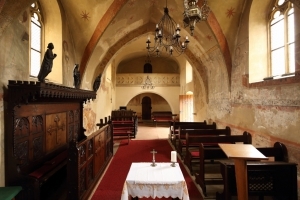 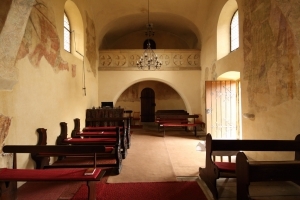 The small Romanesque church of the Holy Virgin Birth is the oldest monument of the Průhonice Park area. 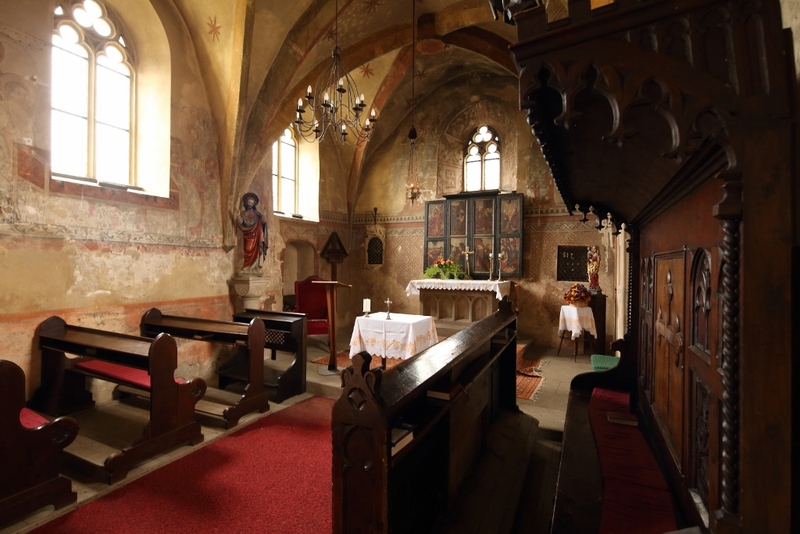 It was built along with the fort and consecrated by Jindřich Břetislav, the Archbishop of Prague and nephew of Bohemian king Vladislav, in 1187. 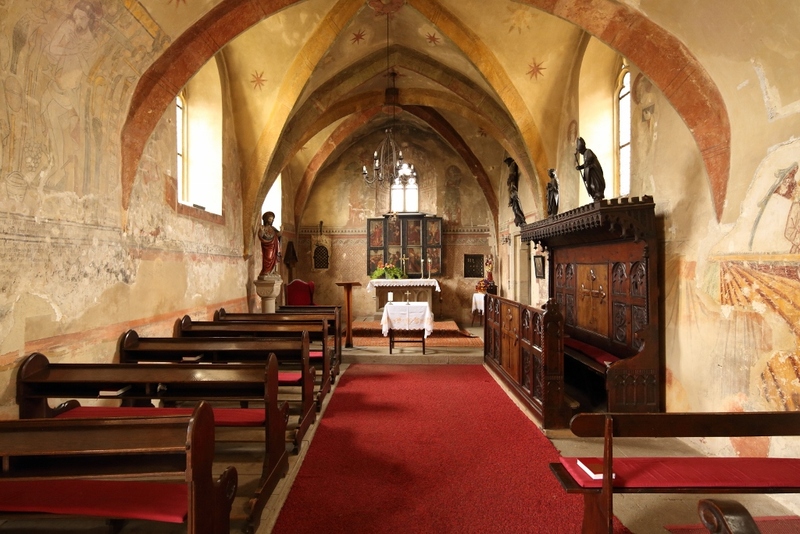 Its Romanesque apse was demolished in a later reconstruction and its chapel was extended in Gothic style. 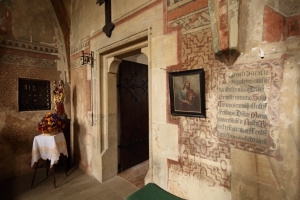 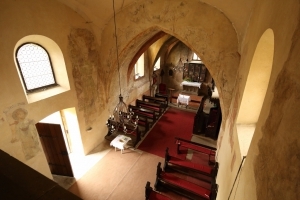 Gothic linear frescos of the first half of the 14th century were discovered on its walls in 1890. 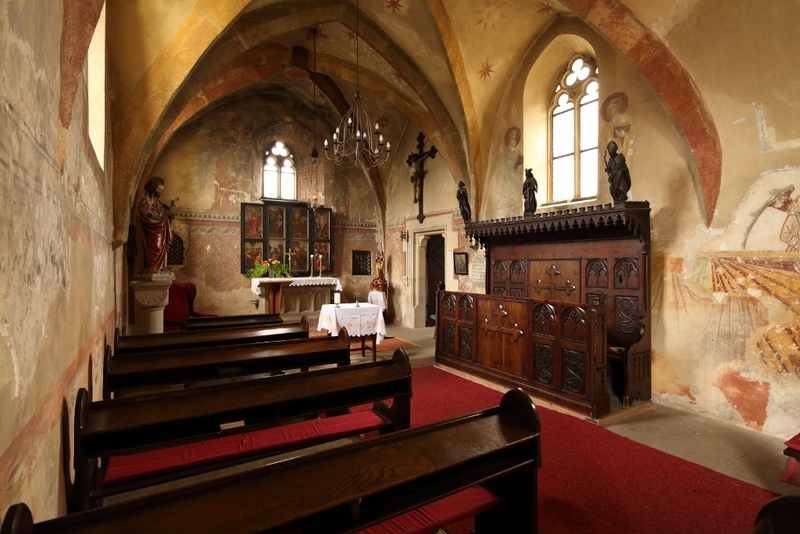 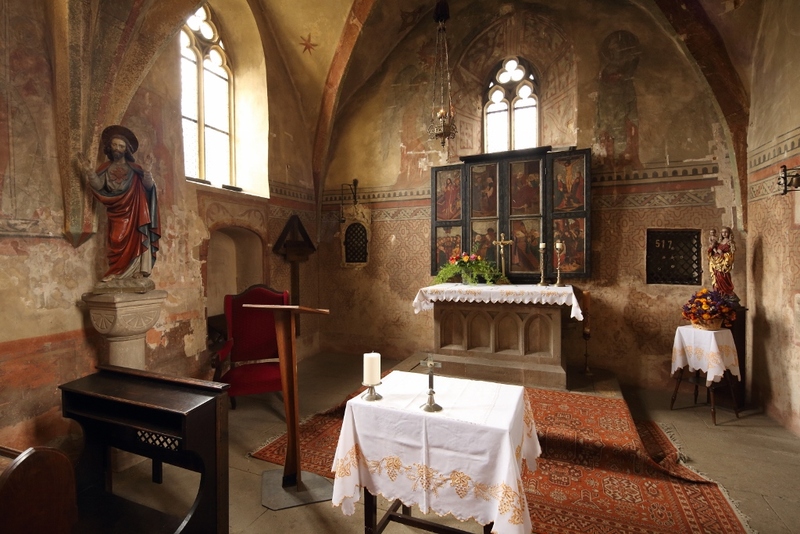 The main wing altar depicts scenes from Our Lady’s life and comes from the workshop of the Master of Vejprnice. It dates back to the end of the 15th century. A copy of this masterpiece can be seen in the chapel, the original can be found in Czech Gothic collections in the National Gallery in Prague.